I’m a huge fan of muffins. Aside from the fact that they’re delicious, they’re so versatile. How so, you ask? They’re fantastic whether you eat them as a fast breakfast, an afternoon snack, or a quick middle-of-the-night treat after feeding your newborn. =) Speaking of which, can you believe that my sweet baby will be one month old tomorrow?! Time is already going too quickly for this mama! But, back to these muffins. I stumbled across the recipe a couple days ago, + loved that they seemed easy to make, and conveniently, were full of ingredients that I already had in the house. And after making them, I’m happy to report that, in addition to being super simple to make, they are flippin’ delicious. The marriage of the hearty oats, the subtle honey sweetness + the flavorful cinnamon is absolutely perfect. And the texture is delightful – the crumb has a bit of texture from the oats, but is still light + airy – heaven! This is definitely a recipe that’s going to be in regular rotation from now on in our household! Preheat the oven to 375. Grease the muffin pan + line with paper liners. In a large mixing bowl (or in a stand mixer fitted with the paddle attachment), whisk eggs + sugar until well combined. Add buttermilk, oil, vanilla extract + honey. Whisk until all ingredients are combined. Stir in the oats. In a separate bowl, sift together the flour, baking soda, baking powder, salt, + cinnamon. Add the dry flour mixture to the batter. Stir until just combined, don’t over-mix. Divide the batter between the 12 muffin pan cups, filling each about 3/4 full. Bake for 13 minutes. Do a toothpick test to make sure they are done in the center. Let cool for 10 minutes in the muffin pan before transferring the muffins to a cooling rack to cool completely. Can’t believe it’s been a month already! Muffins are the best! I totally agree you can have them for breakfast or whenever. These sound like they’d be a fantastic way to start the day with a big cup of coffee! I am saving this recipe. I like to make muffins so hubby has something to grab on his way out the door in the mornings. Plus – these are full of some of my favorite ingredients like oats and honey – yum! always a fan of recipes that are quick and easy to make, and based off of pantry staples! i make a batch of muffins every week for breakfasts with smoothies–these sound great! I haven’t even had breakfast yet but now I know what I want – a dozen of these! They look so delicious, Amy. Hope you have a happy 4th with family! happy 1 month to the fearless baby! i can see why these muffins would make a great snack! Happy 1 month to your precious daughter! I can see how these muffins made it into your rotation! Muffins are just the ticket for a great start to the day, as far as I’m concerned. This recipe sounds delicious and I’ve got everything but the buttermilk in the kitchen. You know I’m obsessed with muffins too – can’t wait to make a huge batch, freeze it and eat it for breakfast-on-the-go! Time really does fly! I too love muffins and i would love to kick start my day with this healthy muffin. These sound great! Perfect muffin for breakfast. I can see why these muffins would be in your regular rotation. They look delicious! Isn’t it crazy how quickly time goes?? I can’t believe my little one will be 3 months in less than 2 weeks! Crazy! I am a huge fan of oats in muffins, they provide such a nice texture and besides being low cal. They look just perfect. 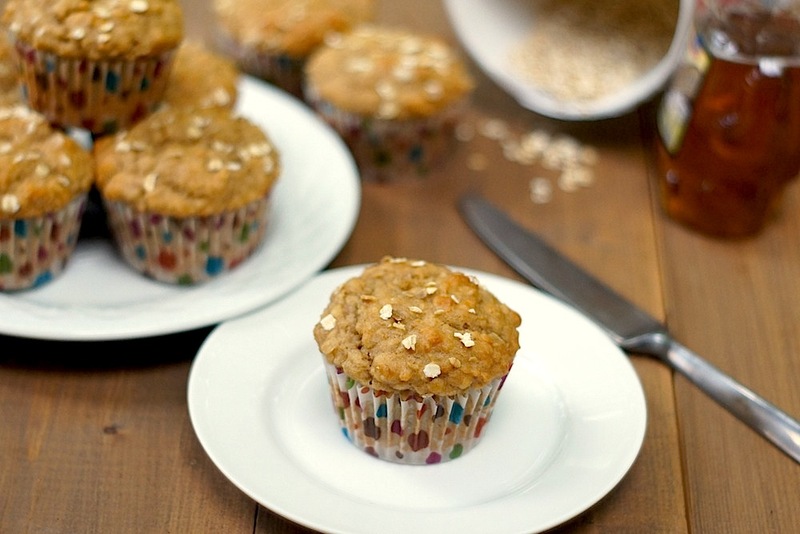 Apple oat muffins. Sooooo good. I have been wanting to make this recipe forever. I kept seeing the little recipe card on the loose in one of my kitchen drawers and I just knew the kids would love these muffins. Apple and oat, such a great combination ! 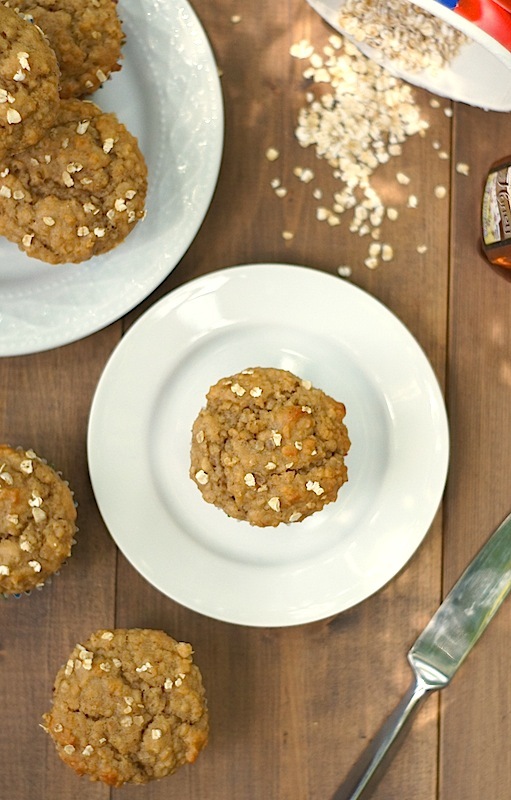 I really love baking with oats, and honey, so the combination of these two in a muffin sounds so genius and delicious! I’m a huge fan of muffins too. They are perfect for when I feel like something a little sweet, but not overwhelmingly. Based on your recommendation, I know I’d love these! I will be baking these muffins this week. They look perfect for those who do not prefer a very sweet treat! 1 tablespoon of lemon juice or white vinegar mixed with enough milk to make one cup. Let sit for five minutes and you have the equivalent of 1 cup buttermilk. That is such a great tip, Sue! I rarely have buttermilk in the house either, so that’ll come in super helpful in the future. 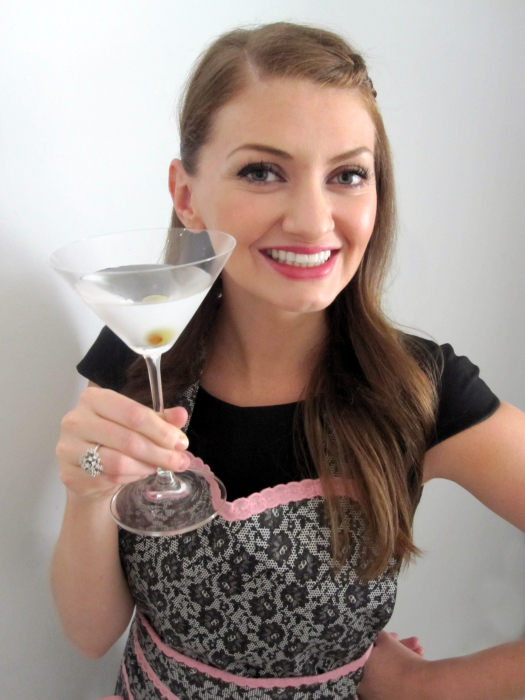 Thanks for sharing with me + my readers! I love oats in baked goods – they provide such heartiness and texture. Your muffins look like a great breakfast! Does the first month just fly by? These look like a nice batch of delicious and hearty muffins! Yogurt is a good sub for buttermilk, too. I just mix a bit of milk with it to thin it to buttermilk consistency. I use quite a lot of buttermilk – soooo good for baking – and now reserve about a half cup of buttermilk, add fresh milk to equal a quart and leave it on the counter (covered) until it cultures and becomes thick again. Then I refrigerate it. Its a good idea to use a clean container each time you do this. It isn’t my original idea, just look up homemade buttermilk for full instructions. Now I’m off to make muffins before it gets too hot. Awesome tip, Karen – thank you! I don’t like oatmeal but I sure love oats in baked goods! These muffins sound so good. Honey, oats and cinnamon. Good stuff! Tried these a week ago. LOVE them!! Was looking for a muffin that was healthy and delishious for breakfast. They are fantastic with a cup of tea or hot chocolate! (I don’t drink coffee, but I would think they’d go well with that as well.) With a light drizzle of honey or cinnamon-roll icing, they are even more fabulous! Shared the recipe with my mother so she can make them for both she and my dad, who is Type II diabetic. Thanks for sharing the recipe! !